The Evans Hybrid is the most durable drumhead available – if you’re a heavy hitter that needs a loud snare drum, this one is for you. It can handle the very hardest playing and will allow you to cut through a mix at any volume. If you break this drumhead, you need to quit drumming. The Evans Hybrid is made from an extremely strong weave of two unique fibers, allowing it to withstand the heaviest playing under all conditions. That’s right, all conditions: try the Evans Hybrid and you’ll be surprised that it still looks and sounds new, even after months of abuse. The material of the Evans Hybrid is different to standard drumheads, allowing it to be extra strong, but still quite sensitive. 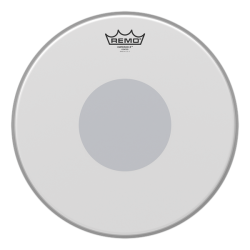 This is one of the best drumheads for metal drumming, or for any other high-volume and hard-hitting style of music. 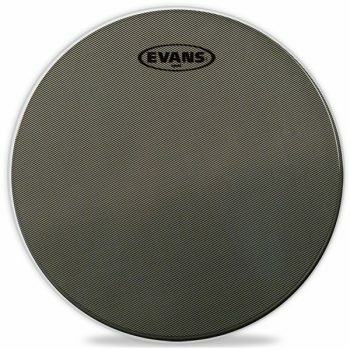 Importantly, though, the Evans Hybrid isn’t just a one-trick-pony (like a lot of other very durable drumheads). 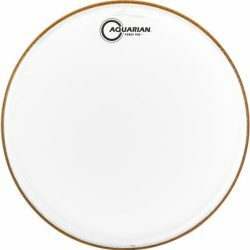 This drumhead is usable for fairly light playing, moderate volume drumming, and right through to extremely hard hitting. A lot of other very thick drumheads are not sensitive enough for lighter playing, luckily the Evans Hybrid fills this gap nicely. Tuned medium or high, the Evans Hybrid will allow huge cracking rimshots, and will cut through any mix with a crisp and clear attack. This sound is perfectly suited to loud, fast, and heavy music. The Evans Hybrid becomes very fat and punchy sounding when tuned low, which works well for a big ballad rock drum sound. For such a durable drumhead, the Evans Hybrid is quite responsive. 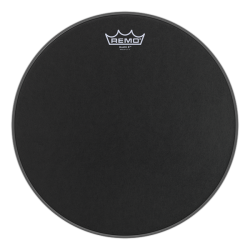 There is good stick response, and the drumhead remains sensitive even with fairly light playing. This makes the Evans Hybrid very versatile – you can use it across a range of playing conditions and volumes. Ghost notes come through well, allowing you to get a very good dynamic range with your snare drum. The textured top also allows brush playing, and gives a good response to brush strokes. The Hybrid’s heavy duty construction helps to reduce overtones and sustain, meaning there is more focus on the initial attack. 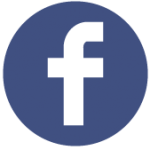 You’ll get a quick snare drum crack, especially at very high tuning. The Evans Hybrid gives more tone with medium tuning, but this drumhead will never ring out of control. The sound of the Hybrid is quite balanced; this head is never too bright, and also not overly dark sounding. 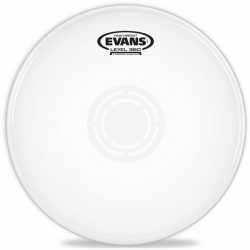 While this is one of the best drumheads for metal, hard rock, punk, and other hard-and-loud styles of music, the Evans Hybrid is also great for any other situation requiring extra durability. 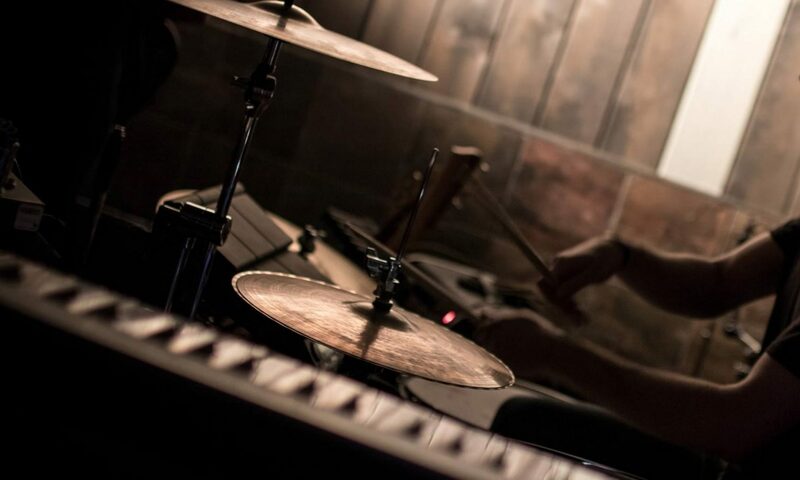 If your venue’s house drum kit gets a huge workout each night, it’s a great choice. 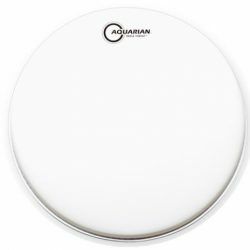 The Evans Hybrid is also one of the best drumheads for church drumming, again because it can easily withstand long-term use. It’s sensitive enough for lighter playing, and very strong in case things get louder. 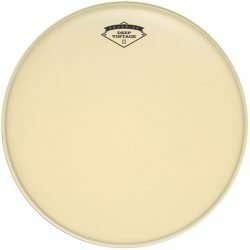 Yes, the Evans Hybrid is more expensive than other drumheads. However, if you’re constantly changing heads due to heavy use or hard hitting, this will end up saving you a lot of money in the long run. The Hybrid was originally designed for marching band snare drums, where drumheads need to handle long-term abuse in all weather conditions. It transfers to the drum kit very nicely, bringing with it the durability to withstand constant use. If you play hard and loud, the Evans Hybrid is the drumhead for you. Note: The Evans Hybrid is designed for snare drums, and is available in 13″ and 14″ sizes. 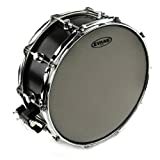 There are two version available: a snare drum (drum set) version, and a marching snare version. Double-check you’re getting the right type when you’re buying… You *can* put a marching snare drumhead on a regular snare drum, however it may not sound great. 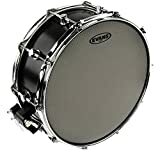 Marching heads are designed for much higher tensions (high enough to destroy a regular drum kit’s shell), and so they might not sound ideal unless tuned high. 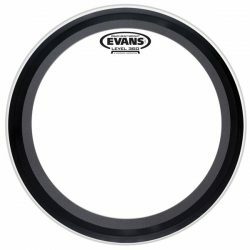 The version of the Evans Hybrid reviewed on this page is the drum set (non-marching) version, which you can see on Amazon here.